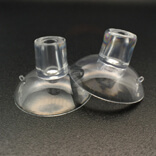 Suction cups with top pilot hole. 30mm diameter. 4mm hole. 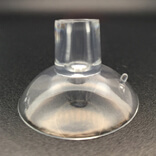 Suction cups with top pilot hole have been around for long periods of time. The products have solved many storage problems over a short period of time. They have helped consumers across the globe. 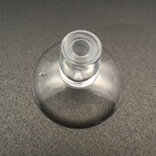 The best part of these products is that they are inexpensive and can be purchased in bulk. They can be used in any situation instantaneously. It can be attached and detached without any special equipment. The load bearing capacity of these products makes them an attractive proposition as compared to the permanent hangers. KingFar- The Company that makes it possible. KingFar has been a leader in this market space for a long period of time. 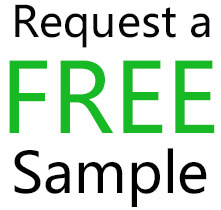 It has introduced products that are far superior to any other range in the market. It has changed the industry benchmarks by making the products from hybrid materials. This has helped make its products have the highest load bearing capacity in the market. The products like hook with suction cup have an inbuilt fire resistance due to the use of these materials. Together these capabilities have helped the company redefine what the product range can do. 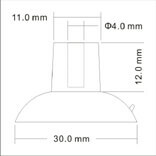 The company has expanded the product range to include various sizes. They have realized that consumers need these products across various countries also. Hence their products can work in every temperature situation. 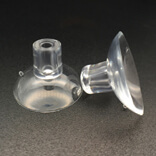 Suction Cup KF- 30P-4 is made from materials as diverse as PVC, medical grade plastic and silicone. This allows the product to be extremely durable and strong. The amount of load it can bear is path breaking and is ahead of any other competitor in the industry.